Another Shore, a selection of poems from Amiya Chakravarty’s Day of Return and Other Poems, serves as an excellent introduction to the poet’s work in English. I do not know Bengali nor had I heard of Chakravarty until I was presented with this volume; nevertheless, after reading it, I come away with an understanding and appreciation of the poet’s concerns, his sensibility, and—to some extent—his style. This last quality, of course, is the most difficult to convey in translation. When one knows nothing of the original language and little of the writer’s culture, one is, in effect, at the tender mercies of the editor and translator. As for Indian culture, the notes to the poems in this volume are usually very helpful. Language, however, is a different matter. Translator Carolyn B. Brown, in her informative preface, faces the problem squarely and tells her American readers what may be conveyed, and what is bound to be lost, when one attempts to bring Chakravarty’s Bengali over into English. Brown has had to make some tough choices. As she explains, Chakravarty is a highly original stylist. In Bengali, he makes freewheeling use of neologisms which cannot find equivalents in English; he uses rhyme in various subtle ways; and, because Bengali is both highly inflected and has more consonant sounds than English, he is able to create complex sound pattern that simply cannot be duplicated to the same effect in any translation. 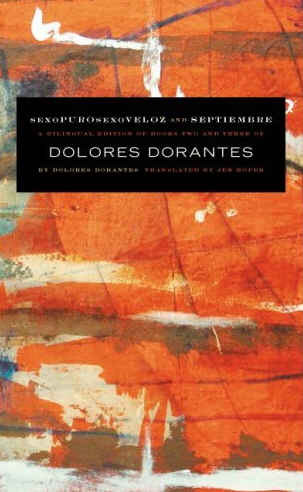 Only the poet’s use of space on the page, what Brown calls his "archetectonics", has been recreated: "Line breaks, indentation, white space are all visual cues for linked but discrete moments of perception, for shifts of emotion, for turns of thought; they not only perform but also shape the act of thinking that becomes the poem itself." This is well said. American readers familiar with the work of such poets as William Carlos Williams or Charles Olson will immediately understand Chakravarty’s technique, at least as Brown explains it. In getting to know Chakravarty, it helps, I think, to understand that the poet lived outside of India for many years, including over thirty years in the United States. The novelties of travel, the plights and pleasures of living abroad, the homesickness, the strange manifestations of old cultural habits and narratives in a seemingly foreign context—these are the themes to which Chakravarty returns. One is immediately sympathetic to the existential dilemmas posed by his wandering from nation to nation. Amiya Chakravarty (1901-1986) was a major Indian (Bengali) poet, essayist, international scholar, critic, teacher of the post-Tagorian era. He was secretary to Rabindranath Tagore for some years (1924-1933), a close associate of Mahatma Gandhi and a friend of Albert Einstein. He walked with Gandhi in the historic Salt March of 1930. Amiya Chakravarty lived the second half of his long and illustrious life in the US. A D.Phil from Oxford University, Amiya taught at Selly Oak College, Birmingham, UK, Calcutta University, India, and in the US first at Howard University, next at Yale and Princeton as a visiting fellow and finally for many years at Boston University as a professor of Comparative Oriental Religions and Literature in the department of Missions and World Religions. Amiya won many awards most notably a UNESCO Prize and the Sahitya Academy (Government of India) Award (1963). His poetry is undergoing a resurgence. In the wake of globalization, scholars are tempted to revisit Chakravarty's poetry which lights the torch of humanism and global vigil. Anyone who has lived abroad for any significant length of time will understand the poet when he describes himself, in "On Bay State Road", listening to "the busy hum / of the swarming traffic on the bridge to Cambridge", and then coming home to listen to "a recording of bhajans sung in Shubhalakshmi’s / pure voice." Suddenly there is "no ocean, no exile, to a heart stilled by genuine longing." "A quiet cipher," the poet describes himself, "I’ve survived by luck— / enduring cocktails and hospitality in elegant smoky apartments, / gazing at sensuous patterns on Turkish carpets." The image of well-intentioned strangers bringing the uncomfortable poet into their homes, where he merely endures cocktail party trivialities and stares at the carpet, has considerable resonance. The poem ends with Chakravarty admitting that "once in a while I go to visit Swami Akhilananda." Though he is no devotee of the Swami, the poet still seeks an outpost of Bengali culture in the alien world of Boston. Yet however sympathetic one may be to the dilemma that Chakravarty conveys in this poem, reading it isn’t easy. The notes carefully explain the bhajans of Shubhalakshmi and Swami Akhilananda’s spiritual lineage; without them, much of the poignancy of the poem would be lost. Perhaps more importantly, the music of the long lines in the translation, though they do achieve a certain limpid grace, lack real verbal energy. Given Brown’s decisions about translation as explained in the preface, I can forgive this lack of energy to some extent. Nevertheless, a number of the longer poems, and the ones which deploy a longer line length, tend toward the prosaic. "Man’s God," an otherwise thought-provoking meditation on religion, bogs down too often: "For some in biblical times, in the Vedic era for others, / in the Middle Ages sometimes, and for folks on earth / in our very neighborhood, gods have come..." The same for "Soil": "If we want trees, trees will grow and shade our gardens. / At metropolitan museums one creative spirit inspires another." It’s hard to sustain the intellectual or emotional drive when the language turns expository to this extent. and with brimming eyes he says: Rinni! —to witness this at night. three nuns walk away quite black & white. Here, Chakravarty achieves a remarkable balance between the concrete detail and the abstract whole. It the most perfectly composed poem in the collection: the spacing, the repetition, the specificity of detail, the well-timed interjection of the more subjective "devout"—all contribute to what Louis Zukofsky would call a "rested totality." I confess that I wish Chakravarty had written more poems of this sort, or, if he did, that this volume offered a bigger helping of them. by the lane lined with red buses. in its reprieve let me watch this world. 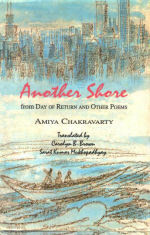 Another Shore by Amiya Chakravarty Trans. Carolyn B. Brown & Sarat Kumar Mukhopadhyay. New Delhi: Sahitya Akademi, 2001. Hardbound. Cover:Charu Khan. ISBN: 81-260-1335-4. 81 Pages. Norman Finkelstein is a poet, literary critic, and Professor of English at Xavier University in Cincinnati Ohio. He has authored several books of poetry notably Restless Messengers (Georgia, 1992), Track: Track, Columns, and Powers (Spuyten Duyvil 1999, 2002, 2005) and Passing Over (2007). He has written several scholarly essays and critiques on modern and postmodern poetry. 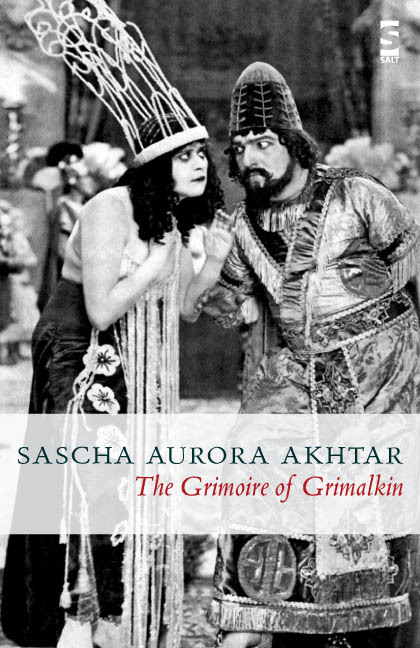 Critics have described his books as beautiful and beguiling, brilliant and audacious, lyrical and probing. His poetry has featured in the Best American Poetry Anthology edited by Robert Creely (2002).